July 18th, 2012 by Roy W. Spencer, Ph. D.
This is meant to be just a heads up that we have submitted a paper to Journal of Geophysical Research (JGR) which I think is quite significant. We used a 1D forcing-feedback-diffusion model of ocean temperature change to 2,000 meters depth to explain ocean temperature variations measured since 1955. We ask the question: What combination of (1) forcings, (2) feedback (climate sensitivity), and (3) ocean diffusion (vertical mixing) best explain the Levitus global-average ocean temperature trends since 1955? These are the three main processes which control global-average surface temperatures on longer time scales (a point which has also been made by NASA’s James Hansen). The 1D model has the advantage that it conserves energy, which apparently is still a problem with the IPCC 3D models which exhibit spurious temperature trends (peer reviewed paper here). Our own analysis has shown that at least 3 of the IPCC models actually produce net (full-depth) ocean cooling despite positive radiative forcing over the 2nd half of the 20th Century. After all, if a climate model can’t even satisfy the 1st Law of Thermodynamics, and global warming is fundamentally a conservation of energy process (net accumulation of energy leads to warming), how then can 3D models be used to explain or predict climate change? I don’t see how the IPCC scientific community continues to avoid mass cognitive dissonance. The primary forcing used in our model is basically the same as that used in the new CMIP5 experiments, the largest components of which are anthropogenic greenhouse gases and aerosols, and volcanic aerosols. Using these traditional forcings alone in our 1D model gives a climate sensitivity in the range of what the IPCC models produce. But an important additional component of our model is the observed history of the El Nino/Southern Oscillation (ENSO) as a pseudo-forcing, both through changes in ocean mixing across the thermocline (ENSO’s primary influence), and through potential changes in global albedo preceding ENSO temperature changes. These pseudo-forcings are included only to the extent they help to explain the Levitus ocean temperature data, as well as explain the satellite-observed relationship between radiative flux variations and sea surface temperature. The results are, shall we say, not as supportive of the IPCC view of the climate system as the IPCC might like; more frequent El Ninos since the late 1970s do impact our interpretation of climate sensitivity and the causes of climate change. The paper also serves as a response to Andy Dessler’s published criticisms of our feedback work. A shorter version of the paper was first submitted to Geophysical Research Letters (GRL) a few weeks ago, and was rejected outright by the editor as not being appropriate for GRL (! ), a claim which seems quite strange indeed. I suspect the editor was trying to avoid the kind of controversy which led to the resignation of the editor of the journal Remote Sensing after publication of a previous paper of ours. Now we shall see whether it is possible for JGR to provide an unbiased peer review. If our paper is rejected there as well, we might post the paper here so anyone can judge for themselves whether the study has merit. El Nino is part of the ENSO oscillation so it is the result of the forcings which causes ENSO. The obvious cause of an intesification of El Ninos is AGW! But what you and your critics seem to miss is that El Ninos and La Ninas are acting as a feedback on global warming. If El Ninos are exerting a positve feedback then La Ninas will exert a negative feedback, or vice versa. Have you explored that? Alastair, you say “The obvious cause of an intesification of El Ninos is AGW”. But we know there have been previous periods of enhanced El Nino activity as well, in the early 20th Century, and in reconstructions from previous centuries. I personally do not trust tree ring reconstructions of climate because they depend too much upon the immediate environment around the tree, changing forest ecology as the forest ages, etc., and none of these things can be quantified because no one was around to observe them. Alastair Mc Donald, you need a basic lessen on the PDO, and how it realates to the frequency of La Ninas versus El Ninos. The large amounts of El Ninos, prior to 2009 was due to the fact the PDO ,was in it’s warm phase.Since 2009 the PDO has flipped to it’s cold phase, and La Ninas are becoming more frequent. Low latitude volcanic eruptions also play a role in causing El Ninos. The nonsence AGW,does not exist. All one has to do is just look at the data. There has been no AGW warming since 1998 and there won’t be any going forward. Infact all temperature variations since 1850 ,are all in the same climatic regime. The climatic regime which replaced the prior Little Ice Age climatic regime. Just by coincidence solar activity increased by a substancial amount from 1850-2005. However to my delight, solar activity very likely has entered a prolong minimum phase(started in 2005) which will result in a temperature decrease before this decade ends. Finally your global warming models have forecasted the basic temperature profiles of the atmosphere wrong(tropospheric hot spot,stratopsheric cooling) along with the basic atmospheric circulation patterns wrong(a more zonal ACI index) . 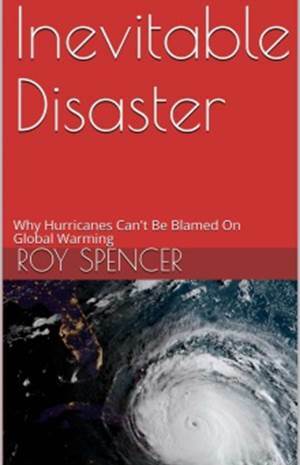 Given that; not to mention this study by Dr. Spencer ,how you can have faith in the AGW cause is beyond me. I guess it is the blind ,leading the blind. sorry,no it works in the opposite way; on decadal timescale PDO variability is almost equally forced by enso, extratropical variability in the aleutian low and changes in north pacific gyre oscillation plus some year to year persistence due to the reemergence mechanism. If you scroll down to their Figure 7, you’ll note that the PDO lags ENSO by a season. It’s tough for PDO to drive ENSO if it lags ENSO by a season. The PDO is an aftereffect of ENSO, but since the spatial patterns of the North Pacific sea surface temperatures (which is what the PDO represents) are also impacted by sea level pressure, the PDO has different variability on decadal timescales. Also keep in mind the PDO is standardized. The standard deviation of the 1st principal component of detrended North Pacific SST anomalies (the PDO) is 0.173, so the standardized PDO data is in effect multiplied by a factor of 5.8. This greatly inflates its perceived value. Dr. Spencer, good luck. There does seem to be a recent increase in peer reviewed papers in publications that question the underpinnings of modern climate science (such as it is!) so maybe there is hope that JGR publishes your paper. Perhaps it might be more likely to get published if the authors didn’t confuse non-conservation of energy with climate model drift? You did look at the controls runs before doing your analysis, right? If the model ocean cools in the face of net energy accumulation, there is a conservation of energy problem. Calling it model “drift” obscures the physical importance of the issue. Let’s not get distracted…no matter whether PDO causes ENSO or vice versa, the point is that there are natural variations in them both on multi-decadal time scales. This then has an influence on global temperatures through non-feedback processes (what we have termed “internal radiative forcing”). Our new paper shows that this internal radiative forcing is necessary to explain the observations. It sounds as if you believe that the PDO and ENSO are the results of internal radiative forcings. IMHO, they are the chaos produced by strong positive feedbacks. Strange attractors, produced by strong positive feedbacks, are cycles just like the PDO and ENSO. 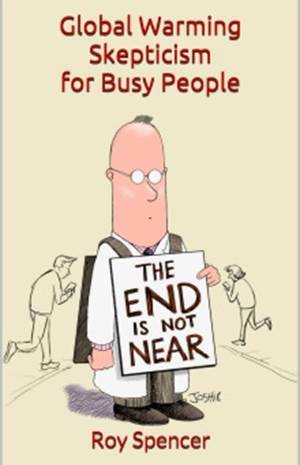 There is an article here which discusses chaos from both a financial and a climate POV. So they no longer try to, at least, keep up a facade of objectivity and outright censor any skeptic papers? In this case, it looks like they want to hide the fact that there exist models which are not tuned to confirm the CAGW hypothesis. I’ve coded a simple 1D model, to understand and visualize the basic radiative transfer. It’s fun to see how the system adjusts to close any TOA imbalances, as long as you have no energy creating- or destroying bugs. If the IPCC models can’t do that, they should disable certain features, to find and fix the parts which violate energy conservation. I can already hear the “you’ve gotten yourself into trouble using simple models before” complaints. One test that I’ve performed to assess ocean modelling is to simply look at the average power in the annual signal. The average power of a time series can be determined by simply calculating its variance. For each gridbox in an interpolated ARGO dataset, I calculated the variance and averaged out the longitudinal dimension. I then produced a scaled image plot by latitude and depth. For comparison purposes I did the same with a sample of CMIP3 models. Above 250M the models did well, below 250M not so well. One could argue, given the relatively small variances below the thermocline, that it doesn’t matter. As for myself, I didn’t get a warm and fuzzy feeling that all is good. Hehe speaking of simple models, I’ve recently used a zero dimensional model of the energy balance to show that , in principle at least, low sensitivity can help explain the Faint Young Sun Paradox. I’m planning on doing some more playing around with it to incorporate more information. Of course, this appears, based upon the literature, to be the only climate problem where seeking negative feedback is kosher. Maybe you should have waited till the paper was processed by the journal. Now everybody who doesn’t want to see any your further papers published knows very well where to go. Or was that the purpose…? Anyway, good luck publishing your paper, I hope it will be successful. 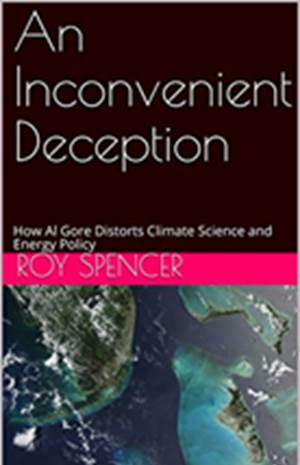 Climate drift is not caused by non-conservation of energy. It is caused by a small and persistent energy flux at the surface and TOA associated with the equilibriation of the deep ocean – something that takes 1000’s of years to happen. In a transient run with imposed forcings the net heat flux into the ocean is associated with both the imposed forcing and the residual drift (because the deep ocean equilibration process is continuing). Therefore only the *difference* between the transient and the control is worth looking at to extract the forced response. If you haven’t taken the control run drift into account you are wasting your time, and that of the reviewers and journal. It is of course conceivable that some models have energy conservation issues – but that needs to be assessed by looking at the energy budgets carefully, not just from seeing a drift. It’s easy enough to do – calculate the global mean net radiation at the TOA in the control and transient runs. If it is positive, the oceans will be warming, if it is negative they will be cooling. i) During the late 20th century especially but also to some degree ever since the Maunder Minimum the more active sun has been cooling the stratosphere more at the poles than at the equator.I realise that that is contrary to established climatology which asserts that a more active sun warms the entire atmospheric column but there is recent evidence suggesing that the truth may be as I suggest. ii) That change in stratospheric temperatures caused a change in the gradient in the tropopause height between equator and poles such that the height of the tropopause rose more at the poles than at the equator. iii) As a consequence, the climate zones and the jet streams migrated poleward which reduced global cloudiness and allowed more energy into the oceans.Changing the tropopause height differentially between equator and poles allows the climate zones and jets to slide to and fro latitudinally. v)With the less active sun that process is currently in reverse. I await further data on the behaviour of temperatures in the stratosphere and mesosphere during the current period of low solar activity. The necessary reverse sign solar effect on the vertical temperature profile of the atmosphere has been observed at levels above 45km. That would be a neat solution that does seem to fit all the observations so far as I am aware. What if the ocean has actually cooled and transferred energy to the atmosphere? Your data essentially shows a constant global temperature with sinusoidal-ish variations about a constant level. In 1998 there was the very large El Nino. After 1998, the data appears to be, once again, sinusoidal-ish about a constant. If the 1998 El Nino transferred energy from the ocean to the atmosphere, the ocean would cool a bit (there is a huge amount of energy in there) and the atmosphere would have warmed a bit. Neither would have needed an external stimulus to change. Would we have any possible way to determine the total energy in the ocean and measure what would be a tiny change in relation to all the energy in all the oceans? Drift in model runs != lack of energy conservation. It is one possible cause, but there are others. You’d have to investigate the model at a deeper level to determine causation. I know of one such CMIP3 model – CCSM3 – and I’m not surprised there are others. The drift in CCSM3 was discussed in Gent et al. 2011. It was determined that the model was conserving energy just fine. The large drift was caused by the initialisation procedure: they used present day observations to initialise runs that were nominally beginning in a pre-industrial period, which led to overly-efficient release of energy for pre-industrial conditions and therefore cooling. I’ve seen a list somewhere of how the CMIP3 models were initialised but can’t recall where. There were a few others which shared the same procedure, so I wouldn’t be surprised if they exhibited similar drift. With regard to GRL: I think in general I have a pretty good intuition for what is suitable for GRL and frequently get things published in GRL, but I have had similar experiences with one or two papers that appeared to go against the IPCC consensus. I think in general we all know by now that to some extent publishing sometimes – and unfortunately – depends on the mood and preferences of the editor. And as an additional suggestion: I recently got something (not climate-change related) published in JGR which was (is) considered controversial by some colleagues. After two very positive and one very negative review, including writing a rebuttal that was longer than the actual paper, I pointed to the editor that I did not have a problem with being wrong, but that I thought the discussion on the topic should be made visible to colleagues to judge for themselves rather than having a referee acting as gate keeper to avoid publication of certain controversial results. That turned out to convince the editor to publish the paper. Steve I agree with what you say but one point I think needs to be made. You say the active sun causes the whole stratosphere to cool, and the stratosphere cools more near the poles in contrast to lower latitudes. This in turn as you put it causes a higher tropopause height over the poles in contrast to lower latitudes(equator). This in turn sets up a more northern jet stream, more zonal jet stream. The point I want to make is it does not matter if the stratopshere cools or warms versus solar activity per say. What matters is does the DIFFERENCE between the stratosphere temperatures at the poles versus the equator,during periods of an active sun increase, or decrease during periods of an inactive sun. You can accomplish the same result. Another words say the strosphere warms during an active sun rather then cools. I am not saying this is the case, but say that does happen. Well if the stratosphere warms more at the equator versus the poles during an active sun, you still accomplish the same result. That is the gradient between the trop. height at the poles, versus the equator,increases. The same result accomplished in the opposite way. The world stopped warming in 1998 and ever since cooling has been in progress, but the ocean is like a big capacitor and it takes time for the heat built up in it to start to disappear. If we aren’t careful, we aren’t planning for colder summers and less food growth. I discovered global warming was false in 2005 after working for a Carbon Management company and the evidence mounts up every year. It is funny that my industrial measurement and control training, put me years ahead of the weather scientists. The sun is key, but the earth stores heat, which then takes time to disappear, due to a lag. Maunder minimum could be a problem, but will be great for ice skating. I agree that it could happen that way too, but does it ? All the observational evidence is that overall the stratosphere cools when the sun is active and warms when the sun is less active. It cooled during the late 20th century period of active sun and has now stopped cooling and may be warming with the inactive sun. Previously that cooling stratosphere was attributed to either CO2 blocking the exit of energy upwards and the effects of CFCs destroying ozone in the stratosphere to cool it. I think those two assumptions were wrong because the jets and climate zones behaved exactly the same way in relation to variations in solar activity during the MWP (poleward/zonal/active sun) and LIA (equatorward/meridional/inactive sun). Saying if rejected you will put it up on a website is very defeatist. Is Remote Sensing not available? How about the journal that fasttracked Dessler et al? I’ve heard Michael Mann say that global warming will produce La Nina like effects. Now are they claiming more El Ninos too? Mann actually said he agreed that climate models vastly overstate warming because he thinks there is a missing negative feedback. Note this is based on the existence of a hockey stick, and that the Medieval Warm Period was not global, but was damped in the tropics by a La Nina like effect. Any attempt to directly balance energy on a 1D basis is subject to possible error if it does not appropriately account for the Freznel equations and reflection from water at shallow incident angles of EMR. I have a feeling that journal is very reluctant to accept anything from Roy ever again, considering what happened last time. Not all approving of that, but I suspect it is the case. “They” is not well defined here. What effect AGW would have on ENSO has been an active topic of discussion for at least half as long as AGW has. The problem is fundamentally that climate models do not give consistent answers. So many of “them” actually have a wide range of opinions about ENSO and AGW. IIRC, the IPCC has it is not known how ENSO will change due to AGW, so believe it or not there’s no consensus ;). Naively, El Nino is associated with warmer sea surface temperatures, so one would assume that warming would cause a tendency towards more El Ninos. Although, IMAO, ENSO is a relative feature of whatever the current climate state is. In this view, one shouldn’t expect any change in the actual tendency towards more of one than the other, at least if we recognize the ENSO event as not anomalies relative to a fixed baseline, but relative to the current climate. Er, sorry, meant to say relative to the contemporary climate. Application of the first law of thermodynamics, the time-integral of sunspot numbers (a proxy for energy retained by the planet) and the effect of the combination of all ocean thermal cycles explains average global temperature anomalies since 1895 with an accuracy of 88%. Accounting also for the increase in atmospheric carbon dioxide increases the accuracy by about 0.5%. The separation between the rising CO2 level and not-rising average global temperature has grown to over 25%. Your assumptions are contradicted by the instrument temperature record, Alastair. The Ocean Heat Content data for the tropical Pacific illustrates the reason for the bout of strong El Niño events since 1976. It was La Niña, the 1973/74/75/76 and the 1995/96 La Niña events to be specific. Not some magical AGW signal causing ENSO to act “as feedback on global warming”. If you’re not aware, during La Niña events, the stronger-than-normal trade winds in the tropical Pacific reduce cloud cover. In the NINO3.4 region, the resulting increase in Downward Shortwave Radiation (visible sunlight) from an El Niño to a La Niña has been shown to be as high as 85 watts/m^2. The increased solar radiation during the La Niña warms the tropical Pacific to depths of 100 meters, recharging the warm water in the Pacific Warm Pool for the next El Niño event. The following illustration is from my upcoming book about ENSO. It represents the tropical Pacific Ocean Heat Content anomalies (NODC 0-700m) since 1955. I’ve isolated the periods between the 1954/55/56/57 La Niña, the 1973/74/75/76 La Niña, and the 1995/96 La Niña. And I’ve isolated the data after the 1998/99/00/01 La Niña. While the long-term trend in the tropical Pacific Ocean Heat Content Anomalies is obviously positive, between the 3-year La Niña events and the 1995/96 La Niña (with its freakishly strong trade winds in the western tropical Pacific), the tropical Pacific Ocean Heat Content cools. In other words, if those 3-year La Niña events and the 1995/96 La Niña event did not exist, there would be no warming in the tropical Pacific Ocean. Looking at that illustration, and with your new-found appreciation of La Niña events, are you still convinced “that El Ninos and La Ninas are acting as a feedback on global warming”? BTW, global surface temperatures respond to ENSO, not vice versa. Roy: I’m a couple of weeks away from finishing the first draft of my book about ENSO. I’ll send you an advanced copy of my book in exchange for a copy of the paper you’re discussing. Deal? ENSO is one of several contributers to average global temperature. The overall average for the planet is an oscillation of +/- 1/6 deg /C with a period of about 64 years. Combine this with the time-integral of sunspot numbers (a proxy for energy retained by the planet)appropriately reduced by the radiation from the planet and the result is a calculation of average global temperatures since 1895 with an accuracy of 88%. A half per cent more if the influence of atmospheric carbon dioxide is included. Who else are the co-authors to this potential paper? Just out of curiousity. Oh good grief. This reads like a raving psychotic; like a “Lunar Landing Hoax” believer; like a Flat Earther. http://theresilientearth.com/?q=content/why-are-sea-levels-so-low which I was just reading before visiting here. Seems to me that the authors of that report did not mention about the drop in temperature of the deep ocean as a possible cause for some of the missing sea level rise – or did I miss that? It is good to keep an open mind! My compliments with the submission and I hope it will get published. Looking forward to reading it. Please try another peer-review magazine when JGR rejects it. This kind of research should get published in the scientific literature and not in blogs. Good luck with the paper Roy. The insight regarding internal movement of energy across the thermocline is an interesting one. The whole ocean shifts energy upwards and outwards when the sun goes quiet. I suspect this comes about due to changing deep currents and waves under an altered cloud regime. Further study required. To add to this, the El-Niño Southern Oscillation is the result of a cyclic warming and cooling of the surface ocean of the central and eastern Pacific. This region of the ocean is normally colder than it’s equatorial location would suggest, mainly due to the influence of northeasterly trade winds, a cold ocean current flowing up the coast of Chile, and to the upwelling of cold deep water off the coast of Peru.